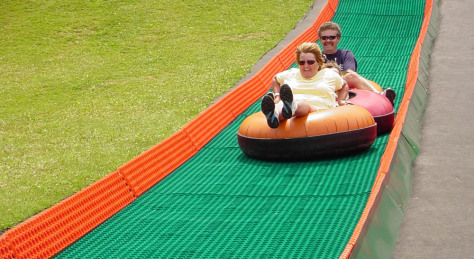 Visitors to Canaan Valley Resort in Davis, W.Va., ride the resort's new summer tube ride. Canaan Valley has two 306-foot runs at the base of the resort's Meadows I slope. It is the sixth North American resort to install the technology.